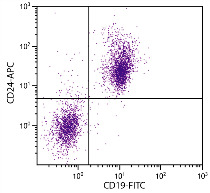 ELISA plate was coated with Mouse Anti-Rat IgG1-UNLB (SB Cat. No. 3061-01), Mouse Anti-Rat IgG2a-UNLB (SB Cat. No. 3065-01), Mouse Anti-Rat IgG2b-UNLB (SB Cat. No. 3070-01), Mouse Anti-Rat IgG2c-UNLB (SB Cat. No. 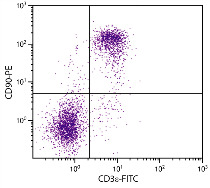 3075-01), and Mouse Anti-Rat IgM-UNLB (SB Cat. No. 3080-01). 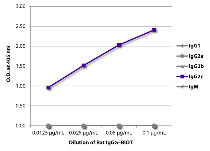 Serially diluted Rat IgG2c-BIOT (SB Cat. No. 0119-08) was captured followed by Streptavidin-HRP (SB Cat. No. 7100-05) and quantified.